"It's always the prisoner who gets punished, not the guard." 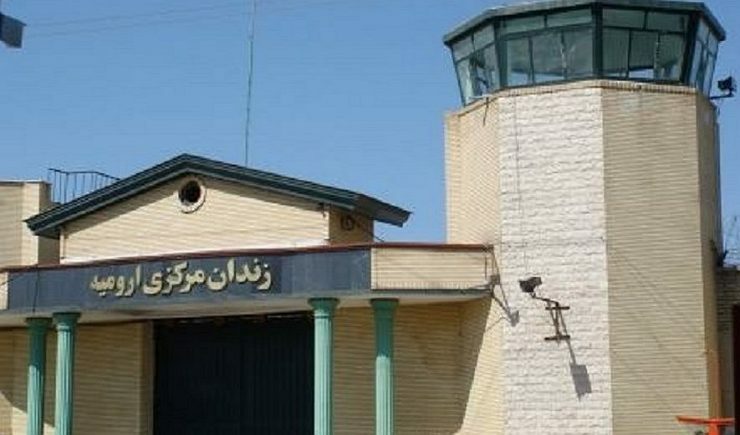 "On November 15, , a prison guard named 'Mollazadeh' became angry and started slapping Mohammad Nazari when he complained to prison clinic staff about why he wasn't receiving any treatment," a source inside Rajaee Shahr Prison told CHRI on November 17. "At that point, Khalid Fereydouni, and Omar Faghihpour, who had come to visit Nazari, intervened and they, too, got a beating," added the source who requested anonymity for security reasons. "They were all accused of attacking the guard and then exiled to Oroumiyeh." "The guards in Rajaee Shahr commit all sorts of violations with complete immunity," said the source. "The guard beats up a prisoner and then a security file is opened against the prisoner who gets accused of trying to escape or causing a fight. It's always the prisoner who gets punished, not the guard." In December 2016, political prisoner Saeed Shirzad sewed his lips shut and went on hunger strike to protest what he described in a letter sent to judicial officials as "the quiet death of prisoners" in Rajaee Shahr Prison at the hands of guards and prison officials. On July 30, 2017, Nazari went on hunger strike for nearly 100 days to demand a review of his sentence. He believes he is eligible for release based on articles 10, 99, 120 and 728 of Iran's Islamic Penal Code. "The long hunger strike has left Nazari very weak," he said. "He has pain in his back and neck. He can barely walk. He's very depressed. His transfer to Oroumiyeh could make his condition worse." "If the law had been applied, I would have been freed four and a half years ago," wrote the ailing political prisoner in an open letter on October 18, 2017. "But invisible hands rooted in centers of power and the security establishment are preventing the implementation of the law in my case." "Now, in the 24th year of my imprisonment, I am alone, with no one to rely on," he wrote. "I am on hunger strike because I have no options left."